The Aussie Over 50's Guide to Getting Out to See the World! After a lifetime of caring for others now its time for YOU! You have the time to start enjoying some fringe benefits of being over 50, and what better way then to lock up house, grab a camera and enjoy the freedom by experiencing something different, even if is only for a few hours. It really does do wonders for the mind and soul to spend special moments with a loved one or close friend travelling. It is time to jump on board, get out using all your gained experience, and travel, spend some of those accumulated dollars, trying out new adventures, make new friends and do all those things you have always wanted to do! 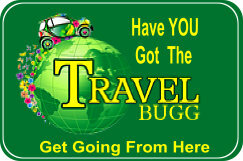 Our pages are just a guide to travelling around the country or around the world. Nevertheless our pages are starting to fill with opportunites and offers for Over 50s, especially our Rewards Circle Members, to travel and meet others doing the same things. We hope you enjoy the following pages. By watching the specials offered at the various airlines and local flight tour operators great deals can be enjoyed at times when the tourists are at work! After all, you are not affected by 'your holiday season' anymore, you can take holidays when it suits you! 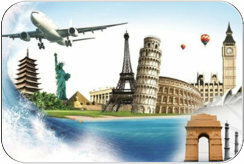 Start by registering with all the major airlines newsletters and source out a few other tours you might like to enjoy. It may mean more 'unwanted' emails in your everyday 'inbox' but it will also mean that you are aware of those great deals to be had and allow you to get out and enjoy at a reasonable price. And register with your favourite airlines 'rewards' scheme and benefit from the 'frequent flyer' points that will quickly accumulate once you are out and about. Your never know how soon you might get a FREE flight somewhere special! While QANTAS has a great reputation as Australia's leading airlines services VIRGIN is also constantly offering new and wonderful deals on fights here and overseas with good service. Some Australian states nad major businesses have Seniors Concession Cards for those 55 and older depending on the card. Where available they can often be used for travel on all public transport as well as some commercial businesses like tours and restaurants. Make the most of your Seniors Card Membership by using the website to access special offers, update membership details and easily locate discounts available to you. Whether travelling within Australia or overseas, whether going first class or budget, Travel Insurance is a must to cover your trip so that you arrive home safe and without extra costs having been accumulated for anything from stolen wallets and missed flights to medical emergencies. Wherever you go there is a host of fabulous Bed and Breakfast accommodation options right throughout Australia that are all designed to make your holiday experience supremely comfortable and memorable. Every conceivable activity is offered and the accommodation comes in all shapes and sizes; from the traditional B and B's to farm stays, homesteads, outback stations and ranch style B and B's. There are country retreats, self-contained cottages, holiday letting homes and apartments, beach apartments and suites, small hotels, historic inns (pubs) and classic manor houses. Australian roads not only take you to some wonderful places they are also very good to drive on. Most distances between towns and supplies are quite short given that Australia is a big land, but it is still necessary to plan ahead and make sure that all your routes are well serviced at the times you plan to travel. Train travel is a wonderfully relaxed way of sightseeing and our modern air conditioned trains offer comfort with unrestrictive views through wide windows and most have a good verity of light meals and refreshments on offer. Take a train to the city for a shopping spree with a friend, experience a bygone era with a ride on a Puffin Billy, or book a tour and travel from coast to coast. Traveling by Bus or with a Coach Tour allows you to stop, see, smell and touch and to spend a little time inspecting and taking photos of what you see. 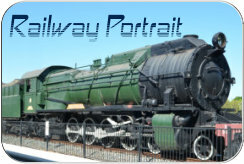 From Steam Trains and Horse-Drawn Coach Tours to Winery and Crime-History Tours, there is so much to do and most have special catering for senior and group concessions. Whether it is in a hot-air balloon, helicopter or a conventional small plane you will enjoy the view of Australia from above. And there are so many ideas to choose from. There are plenty of options for a day trip or a extended holiday on one of the many waterways of Australia. Ys, a river-boat for hire on the Murray River or Lake Cootharaba sounds good too, or maybe a Sea Cruise right around the coastline of Australia! Most states have government sponsored Tourism websites. There are also a number of commercial sites to be found that are very helpful. While out and about discovering Australia you want to be able to relax knowing that things back home are as safe as they can be in todays world. And also to have somewhere for the pets to stay while you are out enjoying yourself!